If you're an outdoor enthusiast in need of an amazing hitch mounted bike rack, you're in luck! Rola is offering 3 different styles of hitch mounted bike carriers. They offer bike carriers fitting 2, 3 and even 4 bikes. The Rola hitch mounted bike carriers have some amazing features, setting themselves apart from the competition. Rola understands that most bikes are very expensive, so they line the bike mount with rubber which gently cradles your bike. It is also made with an anti sway device, helping to keep your bikes stable during transport. 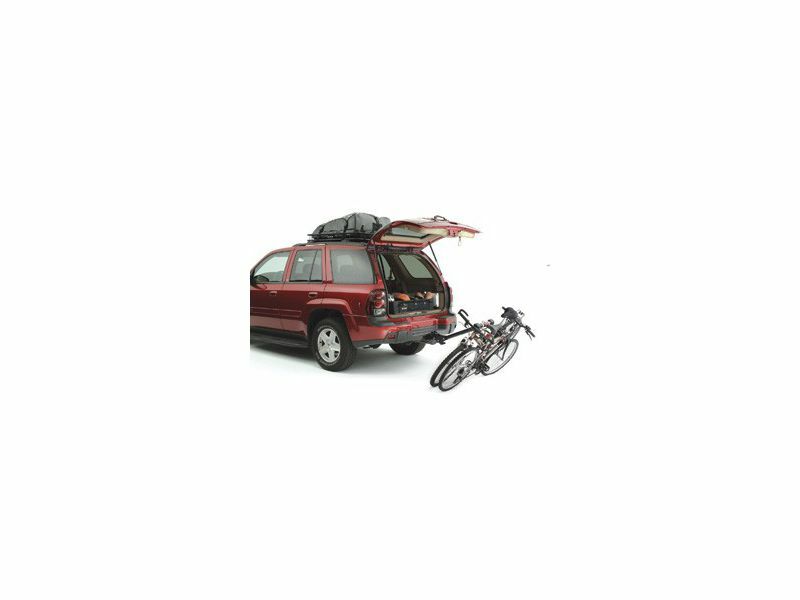 If you're cruising down the road with a Rola hitch mounted bike carrier and you need to get into the back cargo compartment, have no fear! These amazing bike carriers are designed to easily tilt out of the way when needed. This tilting action makes it much easier for loading and unloading bicycles as well. Don't restrict yourself to the trails around your neighborhood. Stay active and get you and your bike moving down the road with the Rola hitch mounted bike carriers. Made by Rola. Hidden Hitch offers a 5 year warranty on all of their ROLA brand bike racks & carriers. Please see the attached info for more information on the ROLA warranty. The ROLA hitch mounted bike carriers offer an easy installation. For additional information see the install manual below or call us at 1-866-309-1907 or 701-253-5906.